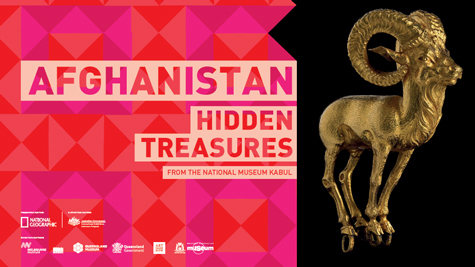 Afghanistan: Hidden Treasures from the National Museum, Kabul is being shown at the Queensland Museum & Sciencentre from September 5 until January 27 here in Brisbane. I had noticed signs around the city and was curious to learn more about Afghanistan. The exhibit showcases some of the most remarkable archaeological finds in all of Central Asia and provides a glimpse into the world of the ancient Silk Road. Featuring almost 230 priceless objects from between 2200 BC and AD 200, this exhibition showcases sculptures, jewellery and gold work of extraordinary beauty and significance. Before entering the exhibition, a short video provides history and background on how the artifacts were discovered. I won’t spoil the details for you. Then you are welcome inside the exhibition. 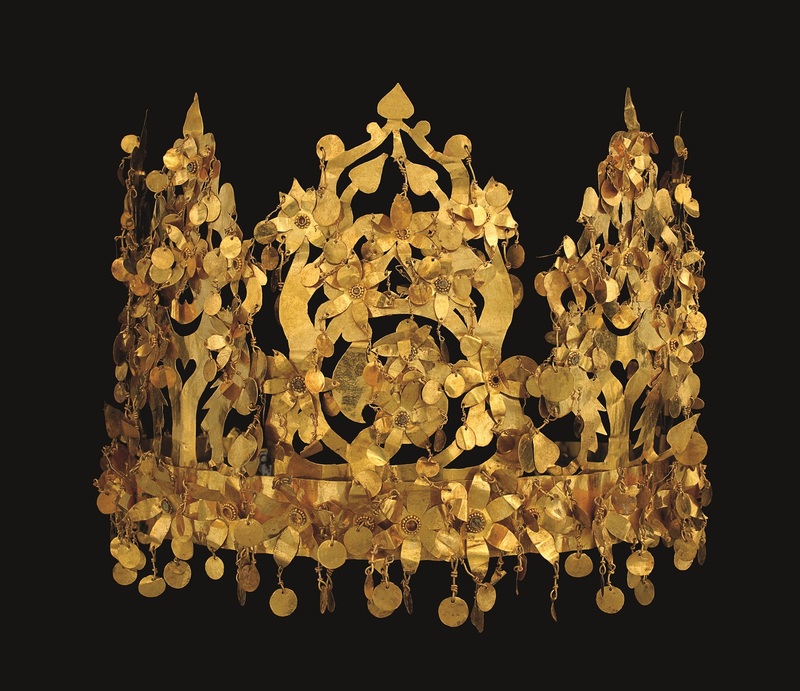 My favorite piece of the entire exhibition was the collapsible nomadic crown, Tillya Tepe, that was discovered between 1st century BC- 1st century AD. As the exhibition ends, a large quote is printed against the wall that states “A nation stays alive when its culture stays alive.” The director and curators of the National Museum in Kabul put their lives at risk to preserve these cultural masterpieces for their country. They hid them in the vaults of the Central Bank in the Presidential Palace with hope that the treasures would be discovered in time and show the world Afghanistan’s rich culture and significance with the ancient Silk Road. I’m so grateful to view this exhibition because how Afghanistan is portrayed in the media does not reflect the rich culture and history the country possesses. A truly fantastic traveling exhibition that deserves recognition and a visit. Tickets for the show are $21.50 for adults and $19 for concession (pensioners and full-time students).